In 1916, in the Italian city of Parma, the beginnings of famous Perfume House began to stir. Created for the distinguished court of the Gonzaga family as an Italian response to the German dominated cologne market, master perfumers began producing new fragrances in a small perfume lab in the old town center. The house’s signature cologne, Colonia, which was intended to perfume the handkerchiefs of Italian men, is said to be their most popular scent to date. At that time, it was unusually fresh and modern compared to the perfumes of German origin, stronger and more intense, that were then so popular. The first real Italian Eau de Cologne and it expressed a new sensibility. Arguably one of the most compelling things was the purity of the fragrance, which was produced exclusively with natural ingredients. Even today, the composition has never been changed. As years past, Acqua di Parma continued to gain popularity from the masses. The famous Art Deco bottle used to house Colonia became iconic and is known by perfume fans around the globe. International success came to the house in the 50s when American film stars traveling in Italy discovered the brand in upscale, exclusive boutiques. Amongst its fans in the acting community were Cary Grant, David Niven and Ava Gardner. 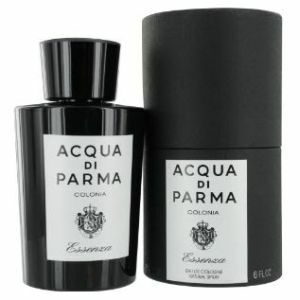 Unfortunately for the brand, 60s brought a vast array of aftershaves, colognes and perfumes on the market, which challenged Acqua Di Parma’s reign as scent to the rich and famous. 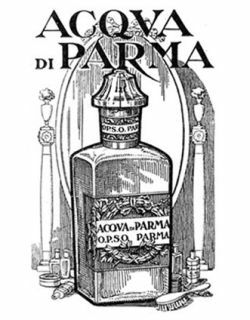 Acqua di Parma has always been popular, but saw sales fall in the decades including and following World War II. In 1993 the brand got a much deserved revival following a management buy-out financed by Tod’s owner Diego Della Valle, Luca di Montezemolo of Ferrari, and Paolo Borgomanero, a major shareholder of lingerie retailer La Perla. Growth was rapid with these successful entrepreneurs at the helm: the opening of the first Acqua di Parma boutique in Via del Gesu in Milan, alongside better known names of high fashion and ready-to-wear, was followed by numerous counters in some of the most high end stores worldwide. Introduced by the Italian house of Acqua Di Parma in 2007, this fragrance is full of classic ingredients promising the perfect balance of elegance and modernity. The composition is announced as very refined and spirited. The scent is full of fresh nutty spices that then dry down to a long lasting woody musk. The refine and magnetic scent that screams of sophistication and masculinity. Launched in 2010, Colonia Essenza is a strong and daring fragrance, which starts out with a citrus sprinkled opening highlighting some of the best offerings of Italy’s local orchards. A distinctive fragrance that features great staying power for the elegant and stylish man. 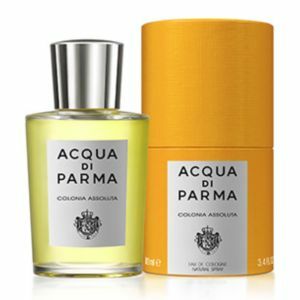 Acqua di Parma Colonia Assoluta is a very likeable scent, capable of making the heat of the summer more bearable. 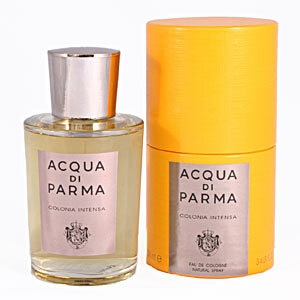 Launched by Acqua Di Parma in 2003, the fragrance is celebration of Italian freshness with a contemporary signature. A bouquet of crisp citrus essences such as sweet orange, bitter orange of Sicilia, bergamot and verbena, with warmer spicy notes of cardamom, pink peppercorns and paprika. A smooth fragrance that is perfect for summer months. In 2001 Acqua Di Parma was acquired by LVMH, or as mostly known, Louis Vuitton, the world’s leading producer and distributor of luxury goods. The thought was that Italian Perfume House should be established as a “modern classic”. LVMH began increasing distribution amongst select retailers and furthering the relationship in consumer’s minds between Acqua Di Parma, elegance, quality and sophistication. The products are still made with the same dedication and expertise that earned the house their initial success, while the fragrances are made with the most prestigious essences and extracts. The rebirth of Acqua Di Parma can be attributed to, amongst other things, an intelligent marketing strategy. 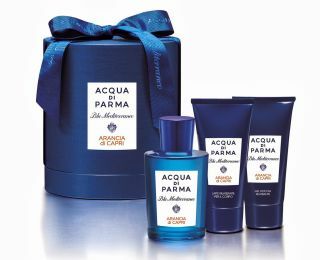 Acqua Di Parma is marketed to a sophisticated man, the type who wears nice suits, reads GQ, and travels the world. Elegance and exclusiveness are the values that are the groundwork of the Acqua di Parma style.